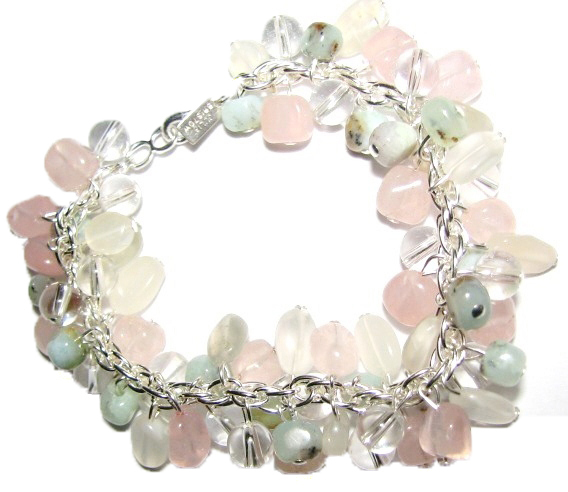 Soft pastel bracelet made with moonstone, rose quartz, quartz crystal and light green chrysoprase beads, all beads said to improve fertility, on silver-plated chain. Very similar bracelet to that shown will be custom-made at time of order. Please allow 4 weeks for delivery.